Christina Bunger, 43, of Union City, was sentenced on one count of forgery, a fourth-degree felony. Jordan Bailey, 28, of Palestine, was sentenced on charges of possession of cocaine, fentanyl and carfentanyl, all fifth-degree felonies. Derek Eldridge, 25, of West Milton, was sentenced on charges of non-support of dependants, a fifth-degree felony. 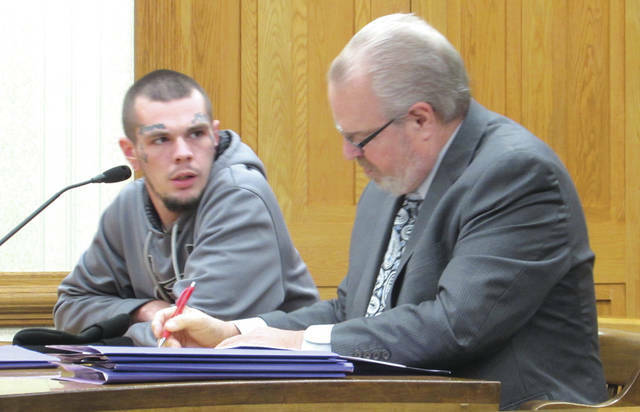 GREENVILLE — Darke County Common Pleas Court heard cases involving drugs, theft and non-support of dependents on Monday. Judge Jonathan P. Hein presided. Christina Bunger, 43, of Union City, was sentenced on one count of forgery, a fourth-degree felony. Bunger allegedly forged her father’s signature on a check. Her previous record includes charges of menacing, criminal trespass, obstructing official business and burglary. Hein sentenced Bunger to 15 days in Darke County Jail with six days credit followed by up to 60 months of supervision by the Darke County Board of Adult Probation. She also must pay $3,890 in restitution and perform 100 hours of community service. If Bunger fails to meet these requirements, she could face up to 12 months imprisonment. Jordan Bailey, 28, of Palestine, was sentenced on charges of possession of cocaine, fentanyl, and carfentanyl, all fifth-degree felonies. Bailey currently is the subject of a warrant out of Montgomery County for driving under the influence and is on parole in Miami County for an unspecified theft offense. Darke County Assistant Prosecutor Deborah Quigley suggested 30 days jail time for the defendant. Defense attorney David Rohrer agreed with the prosecutor’s assessment. Bailey said he had recently spent time with his children and was currently enrolled in a substance abuse treatment program. “My recovery is my biggest priority right now,” he told the court. Hein ordered Bailey to complete 60 months probation and 100 hours of community service. He could face up to 10 months in prison if he fails to complete those requirements. Finally, Derek Eldridge, 25, of West Milton, was sentenced on charges of non-support of dependents, a fifth-degree felony. His previous record includes charges of theft, domestic violence, driving under suspension and disorderly conduct, and he is currently nearly $10,000 in arrears in child support. He also has a history of alcohol and marijuana use. Assistant Prosecutor Quigley recommended 30 days in Darke County Jail. Defense attorney David Rohrer asked for leniency, however. “My client is working, and I believe he wants to pay his child support,” Rohrer said. Hein sentenced Eldridge to probation and also advised the defendant to be more vigilant about making appointments with his probation officer. Hein told Eldridge that, while he was employed and had already begun paying child support, it was important to keep his probation officer informed. 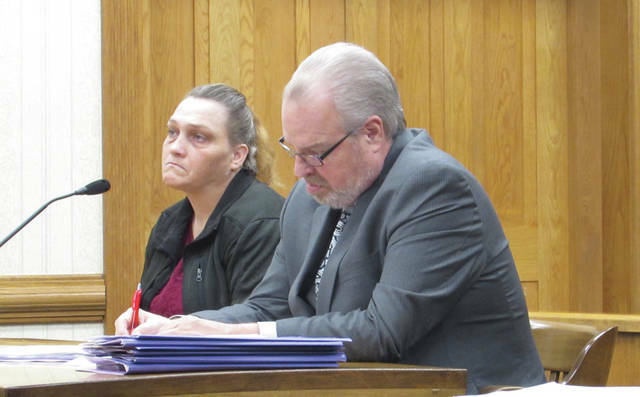 https://www.dailyadvocate.com/wp-content/uploads/sites/34/2018/10/web1_IMG_0030.jpgChristina Bunger, 43, of Union City, was sentenced on one count of forgery, a fourth-degree felony. https://www.dailyadvocate.com/wp-content/uploads/sites/34/2018/10/web1_IMG_0032.jpgJordan Bailey, 28, of Palestine, was sentenced on charges of possession of cocaine, fentanyl and carfentanyl, all fifth-degree felonies. 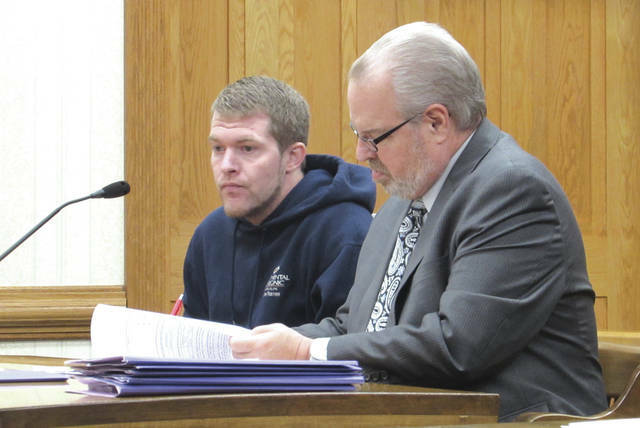 https://www.dailyadvocate.com/wp-content/uploads/sites/34/2018/10/web1_IMG_0034.jpgDerek Eldridge, 25, of West Milton, was sentenced on charges of non-support of dependants, a fifth-degree felony. This entry was tagged Carfentanyl, Cocaine, Common Pleas Court, Community service, court, Darke County Board of Adult Probation, Darke County Common Pleas Court, Darke County Jail, Driving under the influence, DUI, felony, fentanyl, Forgery, jail, Miami County, Montgomery County, Non-support of dependents, Palestine, Probation, Restitution, Theft, Union City, Warrant, West Milton. Bookmark the permalink.